Recently on a training course we were all asked to make a simple paper helicopter from a template. We all worked away at cutting out, heads down, concentrating. The finished things all did what they should and were fun…….well, for about a minute. The next instruction was to ‘make something that flies and use this venue as your inspiration’. Wow! The room came alive, we bustled about the place, exploring a table packed with interesting materials, talking excitedly. What a difference. Afterwards, the room was buzzing with excitement and 35 crazy flying machines. See what I mean? The first exercise gave people something to take part in, but the idea came from the trainer asked little of the participants. The second way, the participants had to respond, to think, communicate and express a unique part of themselves. The template guaranteed a degree of success -that it would probably fly, but it did not allow any deviation from the set pattern. Templates have some value in teaching a technique; templates can also help really un-confident people to have a go and not feel too threatened. I often use a template as an introduction to a group, they are not as prescriptive as the helicopter but they can put people at ease, they can express themselves more when they are comfortable. The second way meant the tutors did less structured planning and it was more exciting, and engaging for the participants: it allowed us to express ourselves. To make our flying inventions we laughed, shared ideas, materials and encouraged each other, all without a word from the trainers. Wouldn’t this approach make learning more engaging for children too? I have met many teachers adamant that they teach creatively, which usually means they have worked hard all weekend coming up with a paper mache version of the Eiffel Tower so that the children can measure it for a maths lesson (ok, I can’t think of a proper example off the top of my head, but I’ll come back with one). 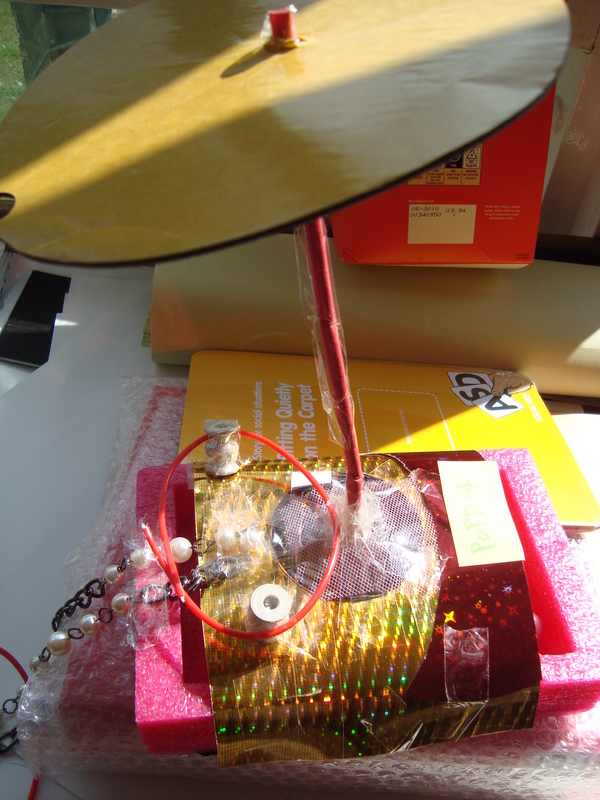 This entry was posted in Planning and tagged Creative thinking, Creativity, Invention, Training. Bookmark the permalink.